Thread: NEW: Altaia - Tuberose in Blue For Women! Tuberose in Blue by ALTAIA is a Floral Woody Musk fragrance for women. Tuberose in Blue was launched in 2017. The nose behind this fragrance is Natalie Lorson. Base notes are cedar and sandalwood. 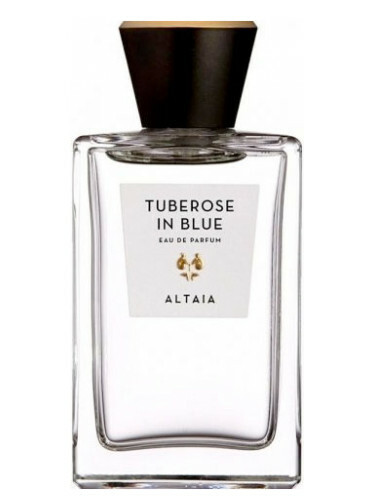 Re: NEW: Altaia - Tuberose in Blue For Women! I was gifted a sample and was eager to try. A little underwhelming. I love a good tuberose in all its facets, from sultry to subtle to sugary and back. But this lacked any firepower at all and just didn't seem to focus on the tuberose. Maybe it's not meant to be a soliflore, but in this case the supporting notes (especially the freesia) hijack the titular player. A pleasant scent, just not a must -have for me. I may be wrong, but it really reminds me of shampoo. If it really was a shampoo (or a hand lotion, or whatever grooming product), I'd be thrilled. But as a personal statement, a bit meh-meh. NEW: Aerin Lauder - Tuberose Le Jour For Women! NEW: Aerin Lauder - Tuberose Le Soir For Women! NEW: Jo Malone - Poptastic Tuberose Angelica Cologne For Women!